The SPARTAN-IV Program is the fourth generation of the SPARTAN Program consisting of members recruited from the UNSC's military who were augmented to be capable of wearing a new variant of the Mjolnir Powered Assault Armor (GEN2) armor. This phase was initiated by Admiral Margaret Parangosky after the Human-Covenant war. Similar to the original ORION Project, the SPARTAN-IV Program would only consist of adult volunteers as opposed to young children. When the program was started, surviving members of previous Spartan generations were offered an opportunity to be integrated into it. SPARTAN-IV recruits are drawn from active combat veterans of any branch as well as young soldiers who show potential to be Humanity's next guardians. The physical augmentations of the SPARTAN-IVs, while more advanced than their predecessors, still cannot produce similar results without risk of a high failure rate, due to the lack of genetic requirements. This drawback is reconciled by modifying the individual to the closest margin possible of the two previous Spartan programs physical results and then relying on Mjolnir Powered Assault Armor (GEN2) armor to enhance the Spartan's abilities even more than that of Mjolnir GEN1 armor. Sometime prior to the public iteration of the SPARTAN-IV program, ONI Section III authorized a top secret, experimental phase of the program, without direct permission from High Command. This variation of the program would attempt to produce super-soldiers whose physical prowess rendered Mjolnir obsolete. Only one of the ten candidates, Ilsa Zane, survived the augmentation process. She was considered mentally unstable due to the augmentations and was forced deep within the layers of ONI. The current SPARTAN-IV program was commissioned due to the success of the SPARTAN-II and SPARTAN-III Programs. The program was initiated by Musa-096, a washout of the SPARTAN-II program's augmentation process. Even with his resentment for Dr. Catherine Halsey, Musa recognized the importance that SPARTANs had in the effort of protecting Humanity, even after the Human-Covenant war. The SPARTAN-IV program was approved by Admiral Margaret Parangosky, when she was still in command of the Office of Naval Intelligence. At first, Parangosky wanted James Ackerson to head the program with Halsey by his side. However, Ackerson died during the aftermath of the Battle of Mare Erythraeum and Halsey was arrested after returning from Onyx. The program was continued by Musa and Jun-A266, a former member of the SPARTAN-III Alpha Company. In addition to the majority of the SPARTAN-IVs being adult volunteers, all remaining SPARTAN-IIIs were offered to be incorporated into the Spartan branch. Many of the remaining SPARTAN-IIIs were fitted into the Spartan branch while the rest were moved to non-combatant status. The first class of SPARTAN-IVs consisted of 145 individuals and went active on January 7, 2553. They trained with each other in War Games simulations in order to be constantly prepared for battle. SPARTAN-IVs also train in multiple different forms of martial arts when not active in the War Games simulator. Select SPARTAN-IIs who were thought to be MIA have also participated in their training. An average SPARTAN-IV in GEN2 Mjolnir Armor can fight on par with an average SPARTAN-II in GEN1 Mjolnir due to the GEN2 armor being more advanced. However, without armor, SPARTAN-IIs are vastly superior to Spartan IVs. There were a small fraction of SPARTAN-IVs active before the end of the Human-Covenant war. SPARTAN-IVs are part of a new branch in the UNSC simply called "Spartan." The new branch operates independently of the Army, Navy, and Marines. They are no longer considered assets of the Navy or Office of Naval Intelligence. In addition to being deployed on UNSC Infinity, SPARTAN-IVs are also stationed on ONIRF Trevelyan and Installation 03. Red and Blue SPARTAN-IVs were released in Minecraft Xbox 360 Edition Skin Pack 4. Instead of being given a number to go with their first name, SPARTAN-IVs are referred to as Spartan followed by their last name or full name. Dr. Catherine Halsey and Cortana consider SPARTAN-IVs to be inferior to SPARTAN-IIs because they haven't undergone a lifetime of military training and indoctrination. Commander Sarah Palmer leading the SPARTAN-IVs. Edward Davis during the Battle of Draetheus V.
A SPARTAN-IV during the First Battle of Requiem. An early build of combat between the Red and Blue SPARTAN-IVs. Red SPARTAN-IVs traveling in Adrift. A SPARTAN-IV's view of the BR85 Heavy Barrel Service Rifle. Halo 4's enhanced camera following a Blue SPARTAN-IV shooting at a Red. A Blue SPARTAN-IV shooting a Red with a Battle Rifle. An upper-body frontal view of a gray-colored SPARTAN-IV. SPARTAN-IV, as seen in Halo Waypoint. Another render of a SPARTAN-IV. A SPARTAN-IV wearing Warrior armor in Spartan Ops. Spartan Thorne in close-quarters combat with Gek 'Lhar during the Second Battle of Requiem. 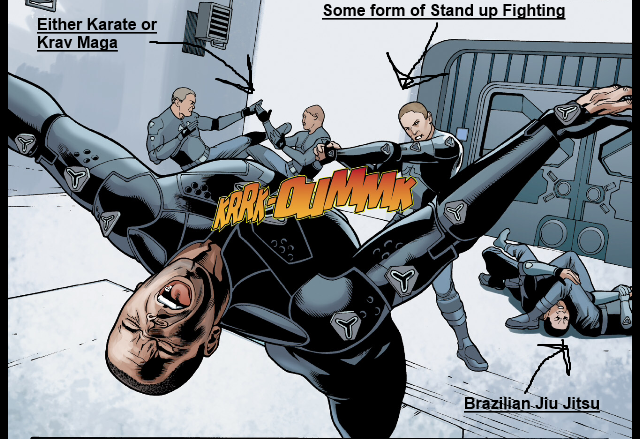 ↑ Image showing Thorne, Madsen, and other Spartan-IVs sparring in different forms of MixedMartialArts. Do Spartan IVs have an actual military structure (e.g. enlisted to officer) or are they all just Spartans and operate in a semi- SHIELD- esque fashion? Why does Cortana not just curb stomp them?